PUR Refrigerator Filters install in your refrigerator and improve the taste of your drinking water and ice directly from your refrigerator. 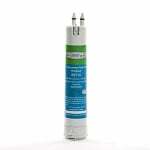 PUR refrigerator cartridge filters remove chlorine and other contaminants that may be in your water. Replace your PUR refrigerator filter cartridges every 6 months. 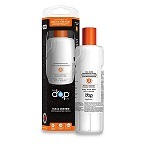 AquaFresh WF710 Replacement For EveryDrop EDR3RXD1. Through the carbon activated filtration media chemicals in your drinking water are absorbed. 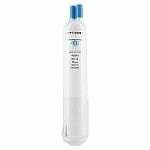 The AquaFresh WF710 Water Filter is the compatible replacement refrigerator ice and water filter for the Whirlpool 4396710. We don't always know what is in our water so the AquaFresh WF710 Replacement for Whirlpool 4396841 replacement for Whirlpool refrigerator filter was designed to take away the mystery and provide clean and clear water with every sip. Make clean water a part of your daily life with the Aquafresh WF710 Replacement for Kenmore 9030 refrigerator drinking water and ice filter . 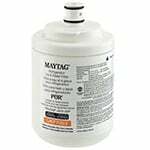 Pur has long been recognized as a household name due to their water filtration technology that you can now experience straight from your refrigerator when using the Maytag Puriclean II UKF8001, UKF8001AXX Refrigerator Water Filter 4. The Whirlpool 4396710 replacement refrigerator water filter gives you control over the quality of your ice and drinking water. With this filter bad chlorine taste and odor are greatly reduced thanks to the activated carbon filter media. The Whirlpool W10413645A Refrigerator Filter - PUR fits refrigerator models with access within the refrigerator and specifically fits Whirlpool models Whirlpool WRF989SDAB, WRF989SDAE, WRF989SDAF, WRF989SDAH, WRF989SDAM, and WRF989SDAW. The AquaFresh WF710 Water Filter is the compatible replacement refrigerator ice and water filter for the Kenmore 9020. 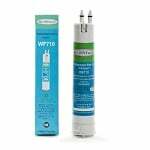 This Aquafresh WF710 Replacement for Whirlpool 4396710P Refrigerator Filter Replacement which replace refrigerator water and ice filter cartridges that fit all refrigerators that use a push button base in-grille water filter. The AquaFresh WF710 Water Filter is the compatible replacement refrigerator ice and water filter for the KitchenAid T2RFWG2. The Aquafresh WF710 Replacement for Whirlpool 4396841P is used in Fast-Fill side-by-side refrigerators with filter access in the base grille. Aquafresh WF710 Replacement for Whirlpool P1RFWB2 is used in Fast-Fill side-by-side refrigerators with filter access in the base grille. The Aquafresh WF710 Replacement for Kenmore 469030 Replacement Water Filter Cartridge is designed for for Kenmore side-by-side refrigerators with access through the front base grille. Aquafresh WF710 Replacement for Kenmore T1KB1 Filter is a compatible replacement refrigerator water filter cartridge that fits several refrigerator models. 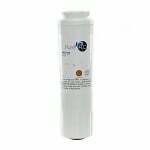 Aquafresh WF710 Replacement for Whirlpool 2260515 is the compatible replacement refrigerator ice and water filter. 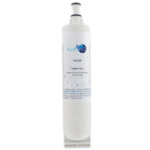 The PureH2O PH21200 Replacement for PUR W10186668 is a refrigerator water filter for use with side-by-side refrigerators. The Aquafresh WF710 Replacement for Whirlpool 4396841B is used in Fast-Fill side-by-side refrigerators with filter access in the base grille. The AquaFresh WF710 Replacement for Whirlpool P2RFWG is used in Fast-Fill side-by-side refrigerators with filter access in the base grille. Aquafresh WF710 Replacement for Kenmore T1RFKB2 fits several side-by-side refrigerator models with filters located in the front base grille with a push-button release. Aquafresh WF710 Replacement for Whirlpool T1WG2L is for side-by-side refrigerators with easy access through the front base grille push button access. The PureH2O PH21200 replacement filter for the PUR Quarter Turn filter.